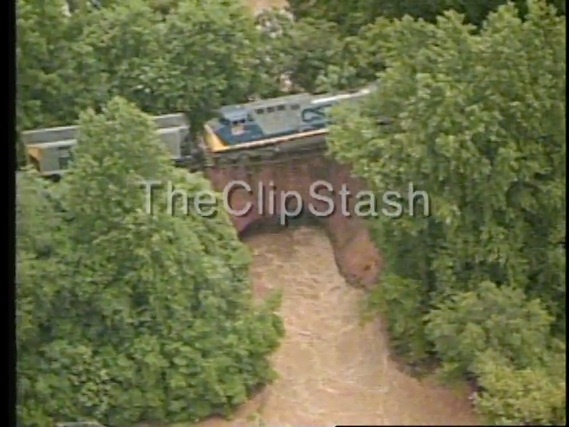 TheClipStash.com - Railroad Trestle Collapses On Camera! Railroad Trestle Collapses On Camera! Raging flood waters eat away at the foundation along the base of a railroad trestle causing it to collapse and sending an engine stopped on the tracks plunging into the swollen creek below!